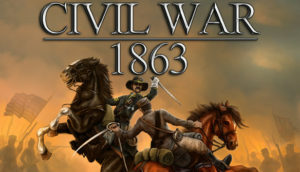 Civil War: 1863 now on PC! Civil War: 1863 is now available on Steam for PC & Mac! Play over 50 battles across 7 campaigns as both the Union and Confederate. As well as being available on PC for the first time, the Steam edition of the game also includes Steam Achievements, Cloud Saves and Trading Cards. Additional campaigns will also be released as free updates to the game. Save 10% off the regular price ($9.99) during the special promotion that is on until the 28th June! Civil War: 1863 coming to Steam for PC & Mac! Civil War: 1863 is coming to Steam for PC & Mac! It will be available on the 14th June around 10am PDT. The Steam edition features 75 missions playable as either Union or Confederate, detailed combat analysis, flank attacks and strategic movement! Follow Civil War: 1863 on Steam! Infection: Humanity’s Last Gasp now on Steam! Infection: Humanity’s Last Gasp is now available on Steam for PC & Mac! Based on John Gibson’s board game, Infection: Humanity’s Last Gasp puts you in charge the Department of Plague Control (DPC) field office in New York City. You make the decisions about what parts of the virus to study, which personnel to hire, and what equipment to purchase. You’ll soon discover you are working with an eccentric group of scientists who don’t always work well together — and one very resourceful lab rat named Marvin. As the casualties increase, so does the stress and mistakes made, as you try to complete your vaccine before time runs out for all of mankind! 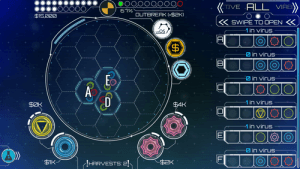 Infection: Humanity’s Last Gasp uses simple mechanics in a multitude of combinations to create engaging, deep gameplay as you try to eliminate an evolving virus that could spell the end of the human race. Buy now on Steam for PC or Mac!